I remember the pianist Don Shirley as a really fine jazz player with excellent chops that suggested, if the mood struck him, he could also play Mozart or Chopin with as much finesse. But I was surprised when I found that the black piano-playing character featured in the just-released film GREEN BOOK, is Don Shirley ... or more accurately, Dr. Don Shirley. He was highly educated, had a Ph.D. and fluently spoke eight languages. Some old pals of mine had jazz tracks in their libraries by him. Another surprise for me on seeing GREEN BOOK was that the Shirley depicted in the picture plays an interesting array of jazz and blues, both totally packed with classical music forms. Holy Batman! I do a radio show that mixes those two genres … along with film music. I knew I had come to see the right movie, since I've been pushing a long time for more of that combination of music to be aired and heard. But I had yet to see that GREEN BOOK ... directed and partially written by Peter Farrelly ... had even yet more to offer. 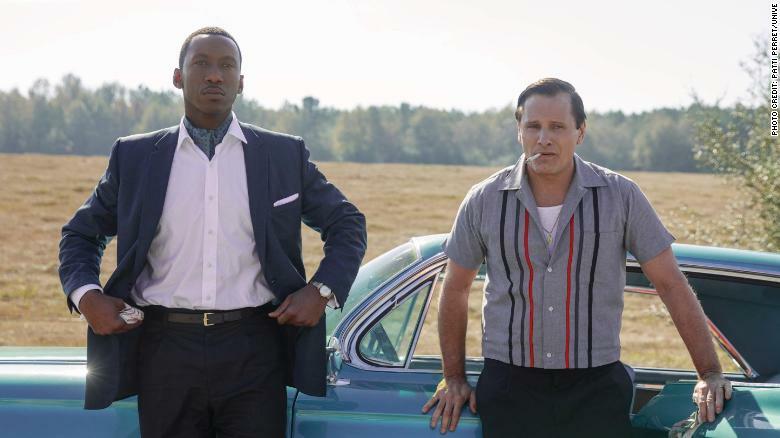 Oakland, California native Mahershala Ali plays Shirley. You probably recall his winning an Oscar for performing in the excellent film, MOONLIGHT. I more readily remember him in the role of Remy Danton on the Netflix series, HOUSE OF CARDS. The Danton character was a former Chief of Staff for the fictitious U-S president, Frank Underwood, as played by Kevin Spacey. GREEN BOOK presents with a high percentage of accuracy relating an actual story that occurred in the early 60s when Shirley went on a mid-western and southern concert tour accompanied by his cellist and bass man. But wait, a completely unschooled guy ... having been temporarily laid off from his job as a bouncer/waiter at New York's Copacabana ... is hired to be Dr. Shirley's chauffeur, bodyguard and valet while the artist traverses America's southern tier. The new employee is known as Tony the Lip. Yip, that would be Viggo Mortensen's part. Viggo's got his “Tony Soprano” down real good. The Lip is a family man with two young sons and a fabulous wife named Dolores. I'm not sure whether I fell in love with Dolores' character or Linda Cardellini, the actor who plays Dolores. She'll win your heart, too ... either way. Loving Tony is not so simple. He doesn't like blacks, as you soon learn. His language can be, er-uh ... crude; his articulation unintelligible and too often, the Lip may fly off the handle if provoked. Tony's muscle and adroit driving are why the haughty artist hires him for this important position as Dr. Shirley treads “lightly” through much of America's south --- even though he's bringing his musical skills and talent to some of the major cities on the south-side of the Mason-Dixon Line. Remember, it's 1962-ish. GREEN BOOK could very easily be loaded with lots of nasty chatter. It's good all the folks who wrote the script kept the “blue” words to a minimum with only enough to suggest that Tony and his pals aren't choirboys. What I'm trying to say is: you can bring the somewhat young ones to see this movie. Only one brief scene of non-explicit sexuality comes into important play, then BOOK takes you to a third act that just about everyone on this earth of ours should see, especially those who possess the same attitude about race that The Lip shows in the first scene. Farrelly's film is smart and fulfilling. It will entertain you immensely. Viggo and Mahershala Ali are a pure delight in their characters. Laughing is allowed. Likely, you won't be able to keep from chuckling most all the way along. You might even want to read the actual green book the title refers to; but in that event, you're likely to notice your eyebrows raising rather high up on your forehead, instead of feeling so satisfied and entertained at the same time.